From smog-sucking bikes to electric taxis and paint made of car exhaust, designers and architects are stepping up to address air pollution—the world’s single largest health risk. But a new air filter making the rounds in Oslo, Paris, Brussels, and Hong Kong shows that nature may be our best ally in this battle. 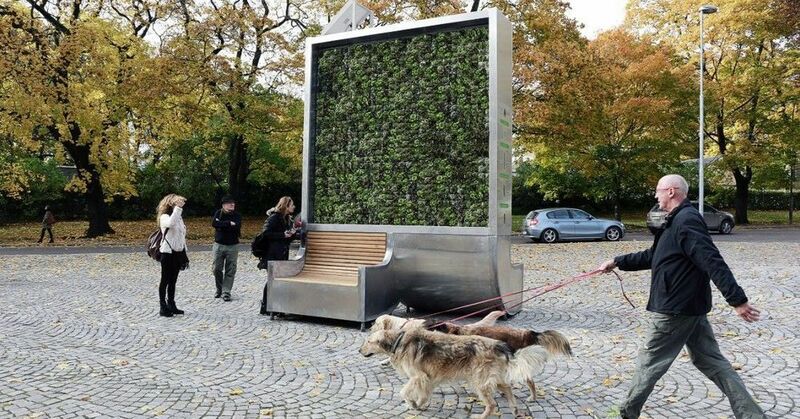 Essentially a moss-covered wall, each CityTree removes CO2, nitrogen oxides, and particulate matter from the air while also producing oxygen. A single tree is able to absorb 250 grams of particulate matter a day and remove 240 metric tons of CO2 each year—a level roughly on par with the air purification impact of 275 urban trees. Thirteen feet tall, with a metal frame, the CityTrees are easily installed in a public space, and they even have built-in seating at their base. 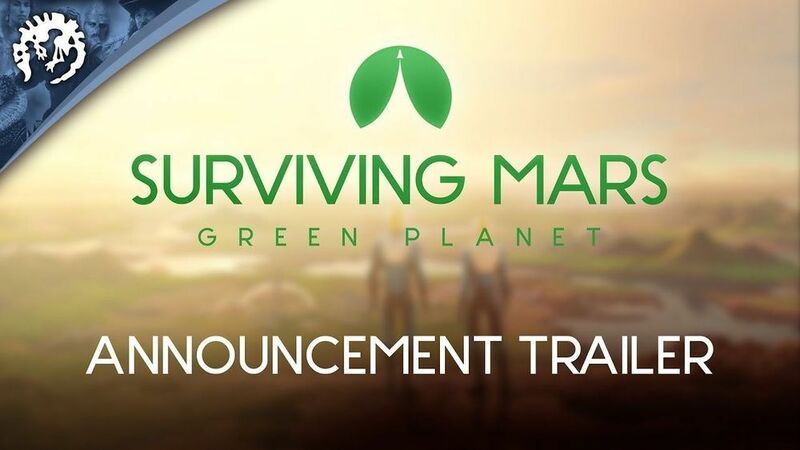 Terraforming is coming to Surviving Mars in a spectacular way. Not only can you make the atmosphere breathable for humans, but it also allows you to engage in new mechanics previously absent from the experience. The city of the future is a symbol of progress. The sci-fi vision of the future city with sleek skyscrapers and flying cars, however, has given way to a more plausible, human, practical, and green vision of tomorrow’s smart city. Whilst smart city visions differ, at their heart is the notion that in the coming decades, the planet’s most heavily concentrated populations will occupy city environments where a digital blanket of sensors, devices and cloud connected data is being weaved together to build and enhance the city living experience for all. In this context, smart architecture must encompass all the key elements of what enable city ecosystems to function effectively. This encompasses everything from the design of infrastructure, workspaces, leisure, retail, and domestic homes to traffic control, environmental protection, and the management of energy, sanitation, healthcare, security, and a building’s eco-footprint. 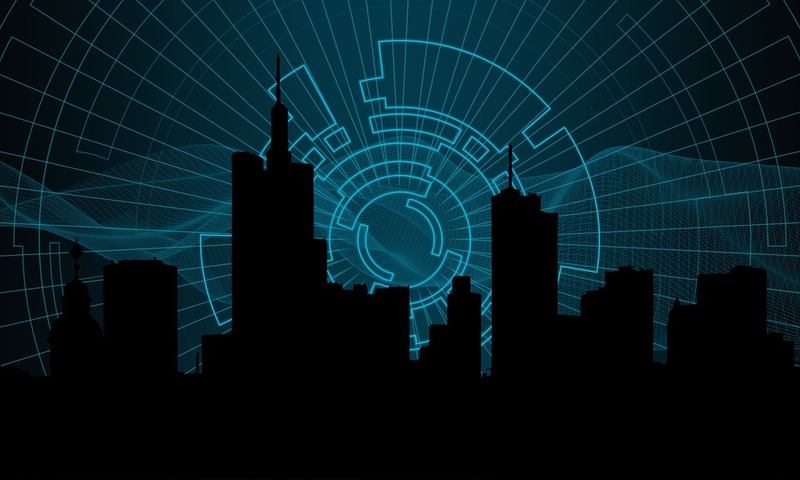 The world’s premier cities and architects are competing to design and build highly interconnected smart environments where people, government and business operate in symbiosis with spectacular exponentially improving technologies such as big data, the Internet of Things (IoT), cloud computing, hyperconnectivity, artificial intelligence (AI), robots, drones, autonomous green vehicles, 3D/4D printing, smart materials, and renewable energy. The architectural promise of future smart cities is to harmonize the benefits of these key disruptive technologies for society and provide a high quality of life by design. Some have already implemented smart city architecture and, as the concepts, experiences and success stories spread, the pursuit of smart will become a key driver in the evolving future of cities as communities and economic centres. Here we explore some of the critical trends, visions, ideas, and disruptions shaping the rise of smart cities and smart architecture. 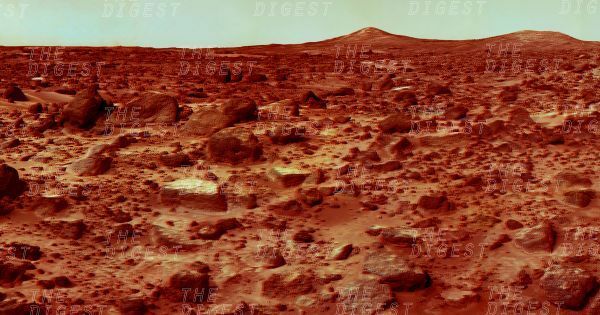 In an interview newly published by Popular Mechanics, SpaceX CEO Elon Musk shared his thoughts on colonizing Mars — from how the first settlers will grow food to the friendly vibe he envisions at the first base on the Red Planet. It is a few years since I posted here on Lifeboat Foundation blogs, but with the news breaking recently of CERN’s plans to build the FCC , a new high energy collider to dwarf the groundbreaking engineering triumph that is the LHC, I feel obliged to write a few words. The LSAG, and others including myself, have already written on the topic of astrophysical assurances at length before. The impact of CR on Neutron stars is the most compelling of those assurances with respect to new higher energy colliders (other analogies such as White Dwarf capture based assurances don’t hold up quite as well at higher energy levels). CERN will undoubtedly publish a new paper on such astrophysical assurances as part of the FCC development process, though would one anticipate it sooner rather than later, to lay to rest concerns of outsider-debate incubating to a larger audience? This is the highest-resolution color departure shot of Pluto’s receding crescent from NASA’s New Horizons spacecraft, taken when the spacecraft was 120,000 miles (200,000 kilometers) away from Pluto. Shown in approximate true color, the picture was constructed from a mosaic of six black-and-white images from the Long Range Reconnaissance Imager (LORRI), with color added from a lower resolution Ralph/Multispectral Visible Imaging Camera (MVIC) color image, all acquired between 15:20 and 15:45 UT — about 3.5 hours after closest approach to Pluto — on July 14, 2015. The resolution of the LORRI images is about 0.6 miles (1 kilometer) per pixel; the sun illuminates the scene from the other side of Pluto and somewhat toward the top of this image. 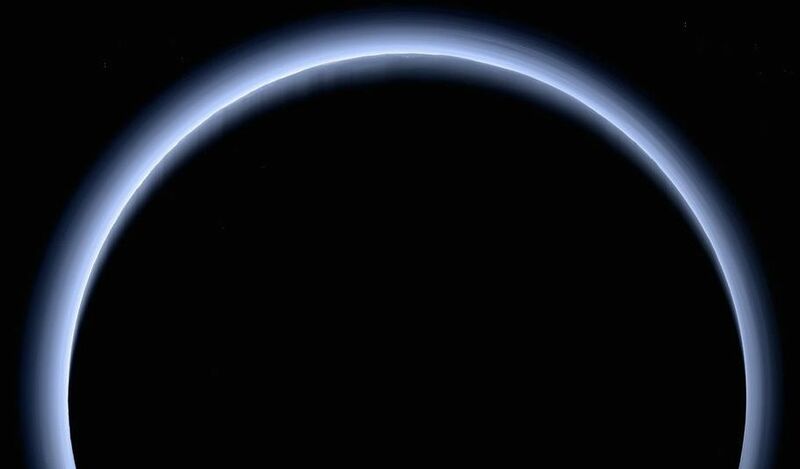 The image is dominated by spectacular layers of blue haze in Pluto’s atmosphere. Scientists believe the haze is a photochemical smog resulting from the action of sunlight on methane and other molecules in Pluto’s atmosphere, producing a complex mixture of hydrocarbons such as acetylene and ethylene. These hydrocarbons accumulate into small haze particles, a fraction of a micrometer in size, which preferentially scatter blue sunlight — the same process that can make haze appear bluish on Earth. As they settle down through the atmosphere, the haze particles form numerous intricate, horizontal layers, some extending for hundreds of miles around large portions of the limb of Pluto. The haze layers extend to altitudes of over 120 miles (200 kilometers). Pluto’s circumference is 4,667 miles (7,466 kilometers). 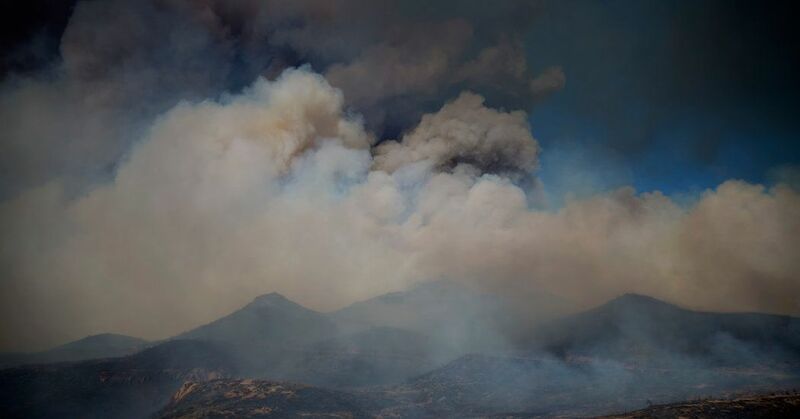 Here are some ways to stay healthy amid the smoke and smog from California’s wildfires. MANILA, Philippines — A mobile and SMS application developed by IT professionals Revbrain G. Martin, Marie Jeddah Legaspi, and Julius Czar Torreda to help fishermen receive real-time weather, sunrise and sunset, wind speed, and cloud coverage to plan their fishing activity, and an emergency checklist kit app was developed by students Jeorge Loui P. Delfin, Bluen Ginez, Samuel Jose, Rainier Garcia Narboneta, and Eugenio Emmanuel A. Araullo for disaster preparedness won the NASA Space Apps Challenge on October 19–21 at De La Salle University in Manila, Philippines, in partnership with the Embassy of the United States of America and PLDT. Other projects and solutions developed are games using images from the Hubble Space Telescope, augmented reality mobile app to tell a story of the changes in the Arctic and Antarctic ice, artificial intelligence app helping scientists confirm the habitability of exoplanets, and story-based game using NASA Earth imagery. 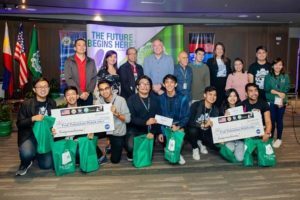 They joined together with teams of coders, scientists, designers, storytellers, makers, builders, technologists, thinkers, designers, entrepreneurs, and everyone around the globe working together in a 48-hour sprint to develop solutions to some of the most pressing challenges on Earth and in space, using NASA resources and data. Electric drones booked through smartphones pick people up from office rooftops, shortening travel time by hours, reducing the need for parking and clearing smog from the air. This vision of the future is driving the Japanese government’s “flying car” project. Major carrier All Nippon Airways, electronics company NEC Corp. and more than a dozen other companies and academic experts hope to have a road map for the plan ready by the year’s end. 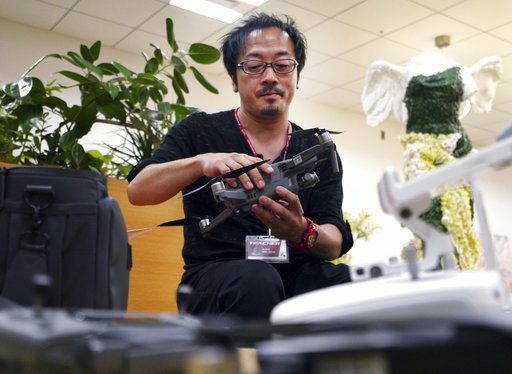 “This is such a totally new sector Japan has a good chance for not falling behind,” said Fumiaki Ebihara, the government official in charge of the project. SpaceX’s CEO shrugs off 20 years of NASA research. SORRY, ELON. To be ready for human occupants, Elon Musk has long called Mars a “fixer-upper of a planet.” But according to a new NASA-sponsored study, a better description might be a “tear-down.” The scientists behind that project say it’s simply not possible to terraform Mars — that is, change its environment so that humans can live there without life support systems — using today’s technology. BUILDING AN ATMOSPHERE. Mars has a super thin atmosphere; a human unprotected on the surface of Mars would quickly die, mostly because there’s not enough atmospheric pressure to prevent all your organs from rupturing out of your body (if you survived a little longer, you could also suffocate from lack of oxygen, freeze from low temperatures, or get fried from too much ultraviolet radiation).